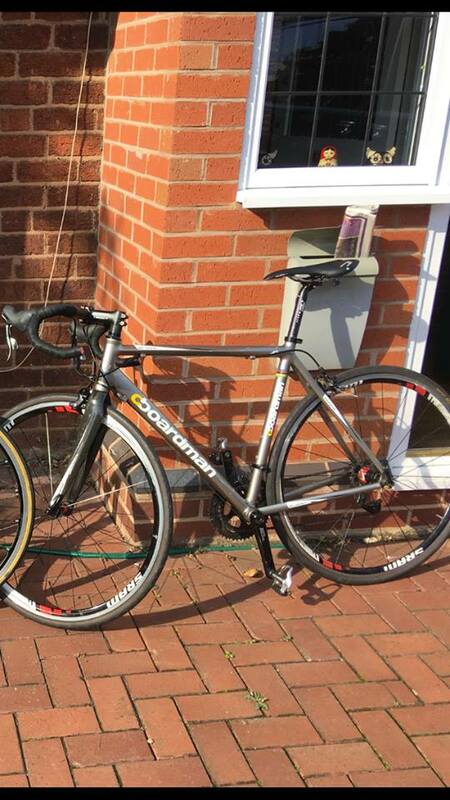 Grey Boardman comp, about 55cm frame size. Has a black sram wheelset with large SRAM decals on it, so is quite obvious. Groupset is SRAM rival. Seatpost and bars are both ritchey. Seat itself is enigma. Black SRAM bar tape. Got a few scrapes and cable rub.